Algae in swimming pools is a common problem in warm summer months, making your pool undesirable for swimming. Algaecide is used to shock and kill algae using strong chemical compounds. Swimming during algaecide treatment depends on the type of product used. 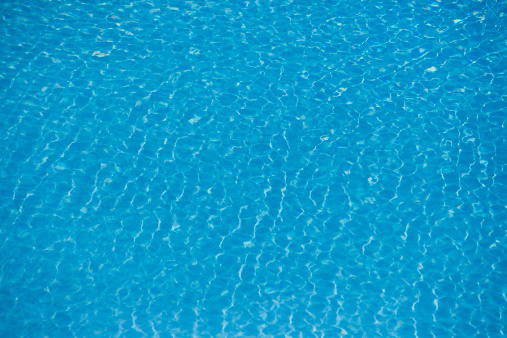 Is your pool water safe for swimming? Although many chemical solutions exist to the problem of algae in swimming pools, there are only two general types of algaecide: longlife and regular. Longlife algaecides are dosed once at the beginning of the swimming season, whereas regular algaecides must be added to your pool water every couple of weeks. Longlife algaecides typically contain copper and generally are safe for swimming immediately following treatment. However, if you use a high dose, going swimming right away might cause your hair to turn green or blue. Regular algaecides do not contain copper, but rather quaternary ammonium compounds, also known as "quats" or "polyquats." These compounds are safe for immediate swimming. Use of too much algaecide may cause slight eye or skin irritation, so always be sure to follow the manufacturer's instructions. The chemicals used in most pool algaecides are at a low enough concentration to allow you to swim immediately after dosing. It is recommended, however, to wait a few minutes to an hour to allow the algaecide to disperse throughout the pool, especially when using copper-based algaecides if you are concerned about your hair turning color. 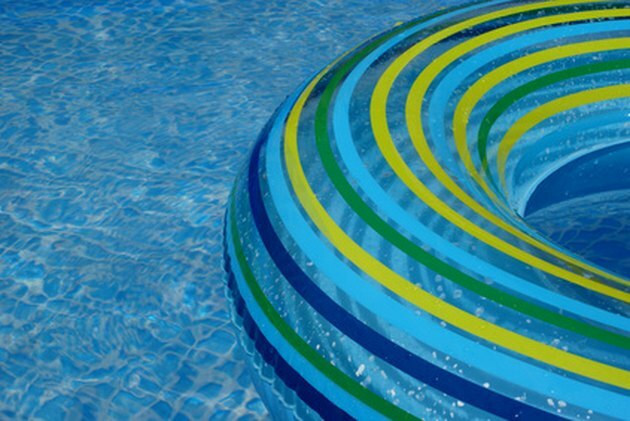 How Often Should I Add Chlorine Stabilizer in My Pool?